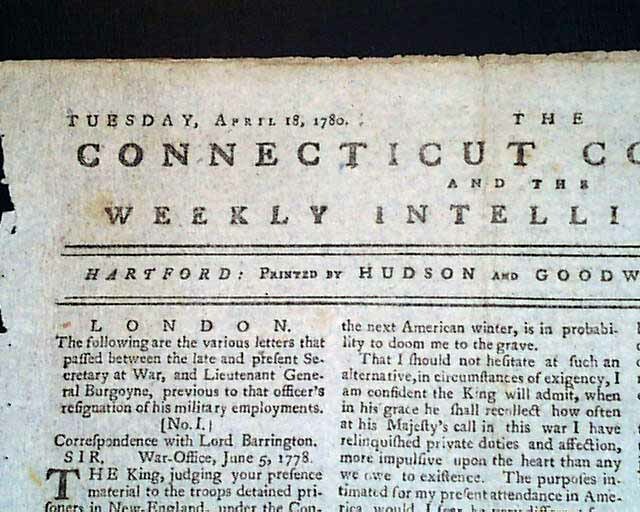 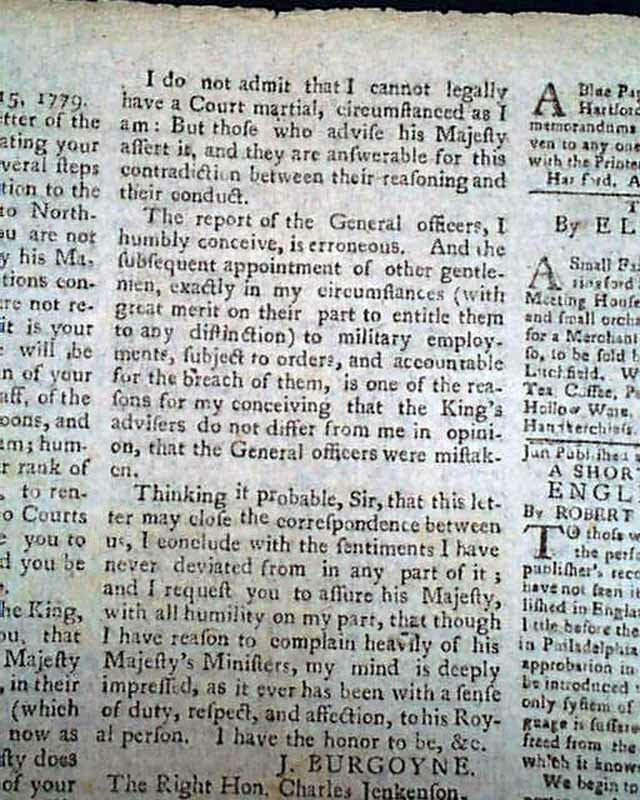 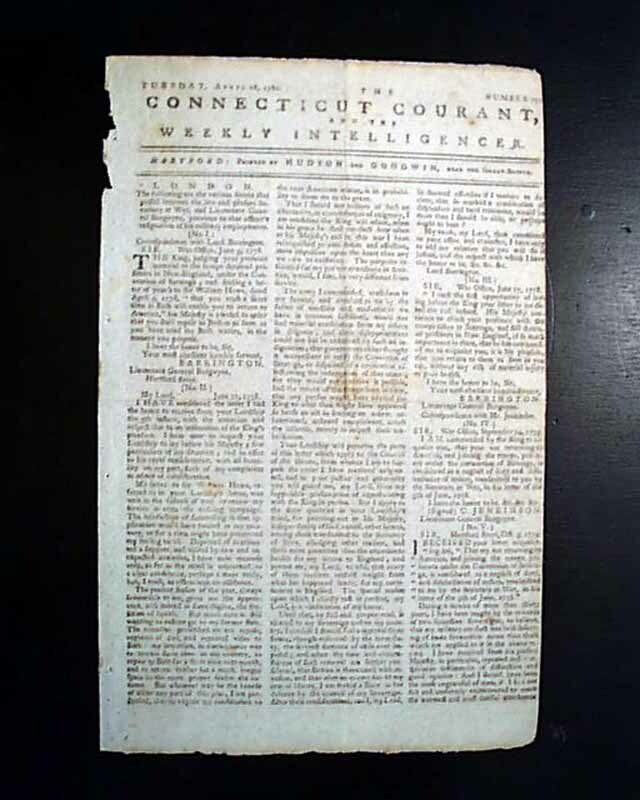 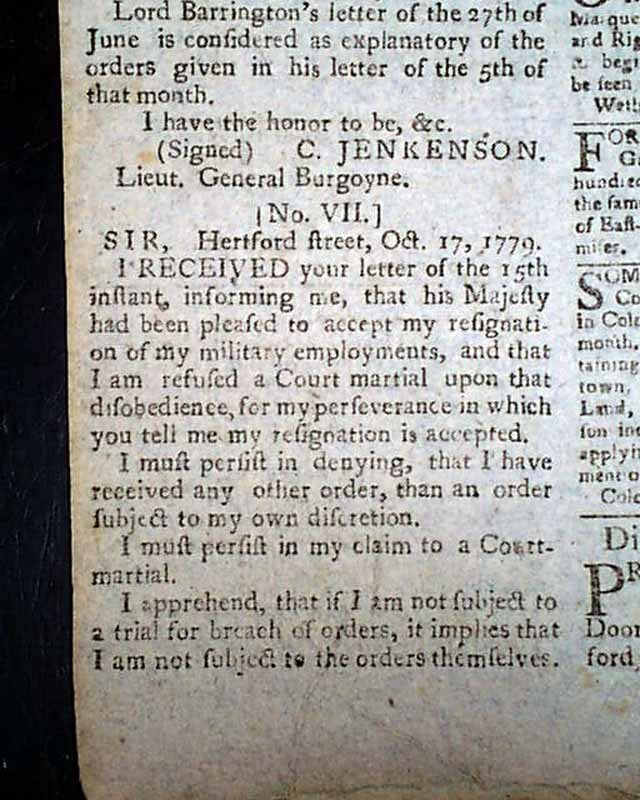 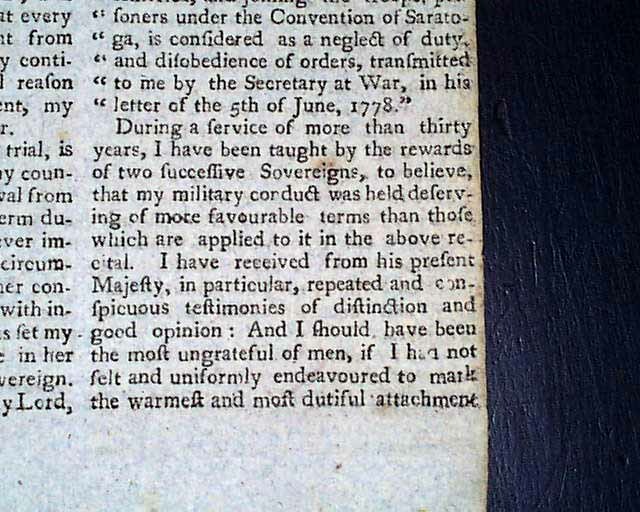 THE CONNECTICUT COURANT & THE WEEKLY INTELLIGENCER, Hartford, April 18, 1780 The entire front page, two-thirds of page 2, and half of page 3 are taken up with: "...the various letters that passed between the late and present secretary at War and Lieutenant General Burgoyne, previous to that officer's resignation of his military employments. 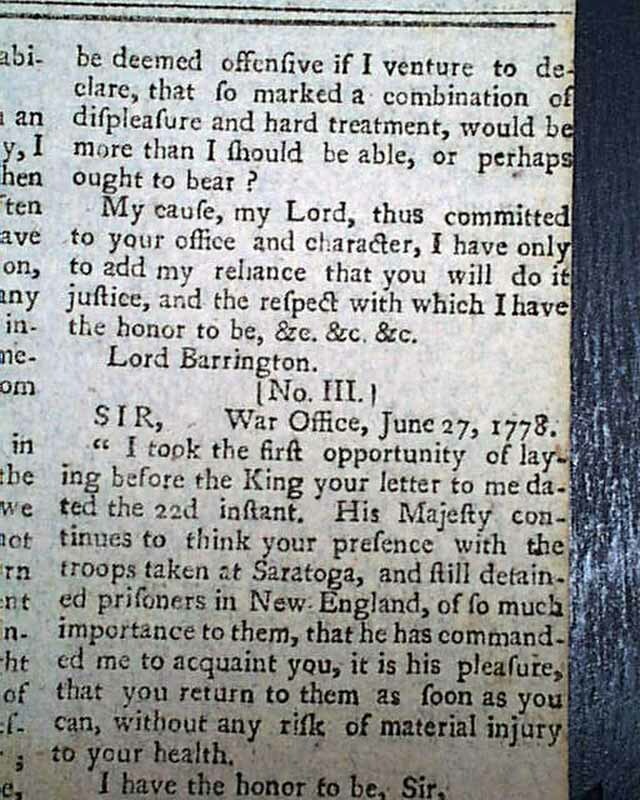 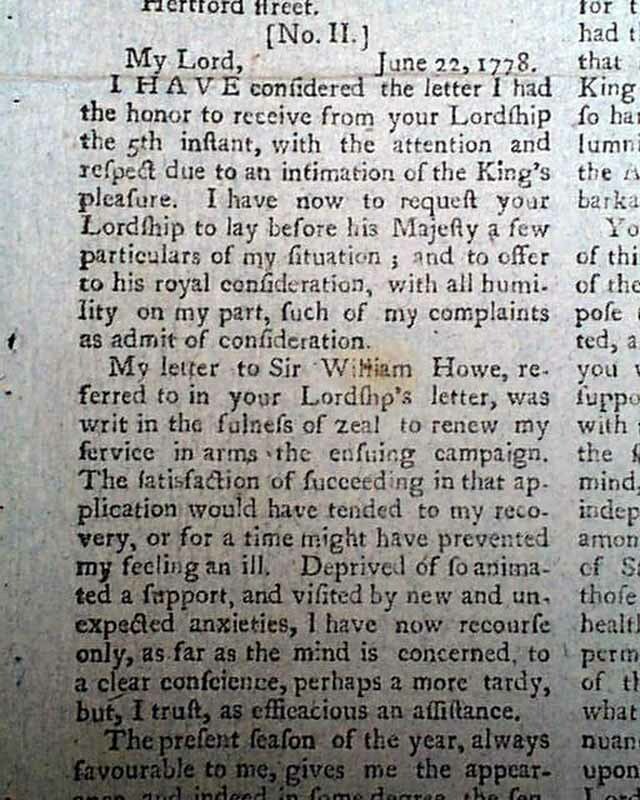 ", with various references to his defeat & surrender at Saratoga. 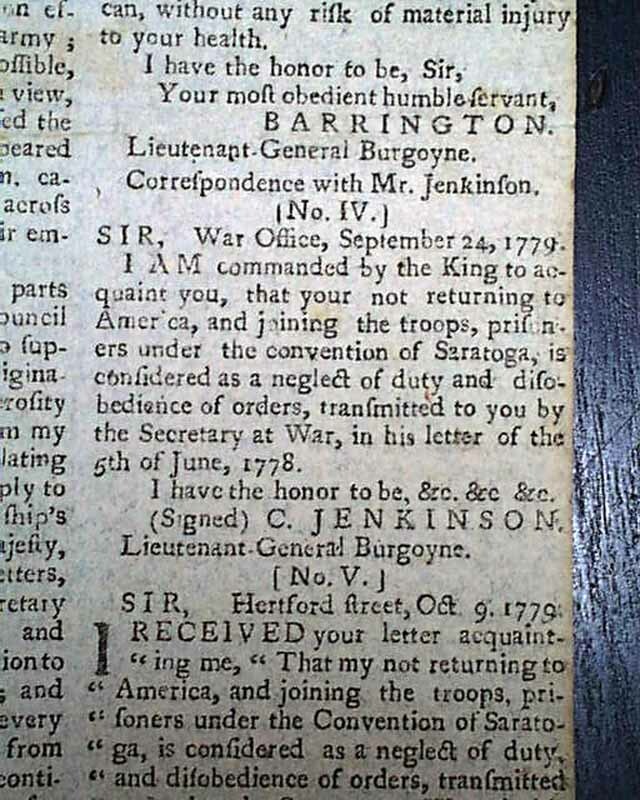 Page 3 includes a letter from Edenton, North Carolina, noting; "...that the enemy had erected a battery on James Island and had tryed their metal...but their shot fell short of the town...". 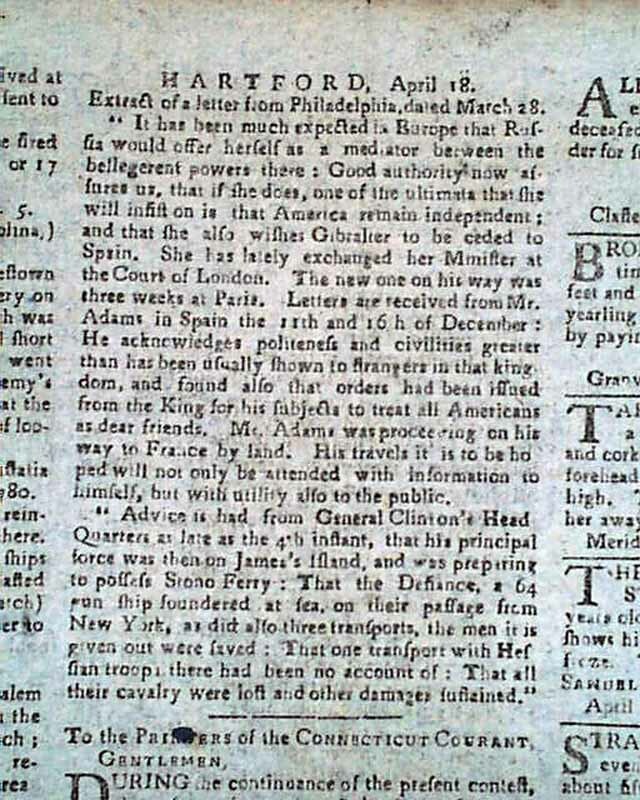 Also a bit noting: "...a large fleet sailed from New York having about 3000 Tories on board supposed to be found for South Carolina." 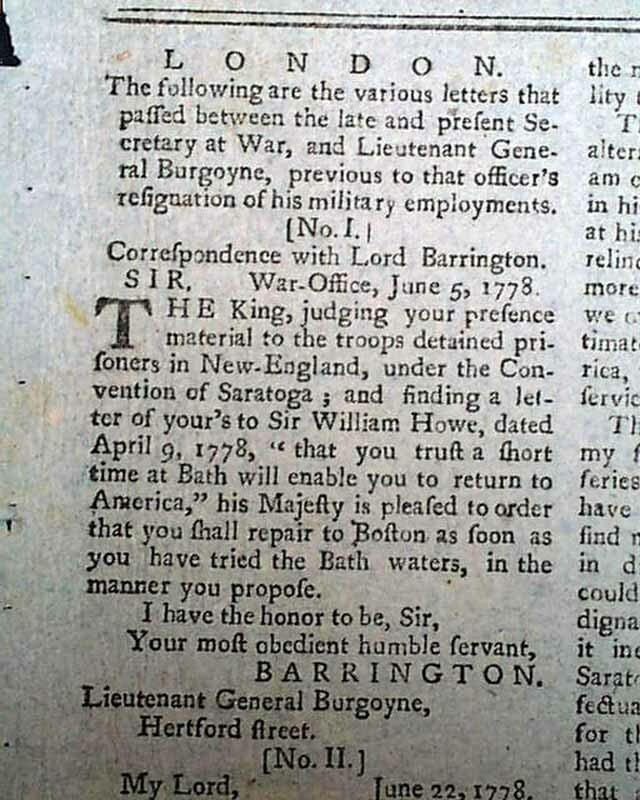 Elsewhere is: "Advice is had from General Clinton's headquarters...that his principal force was then on James's Island & was preparing to possess Stone Ferry..." And an item noting that Russia is willing to be a mediator in the dispute between England & America. 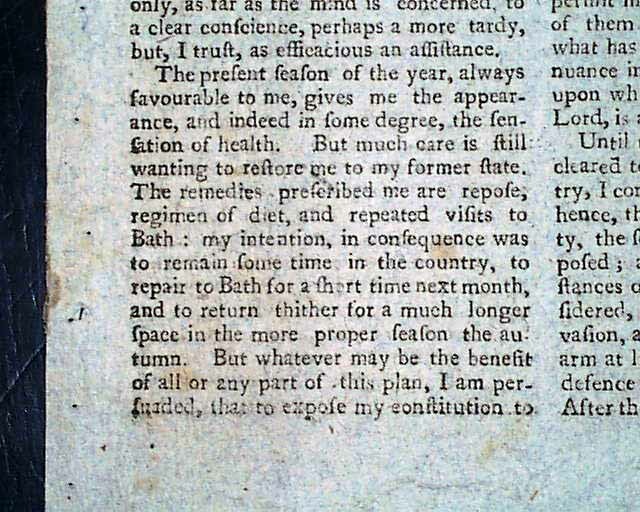 Four pages, nearly close-trimmed at the right margin touches some letters bur causes no loss of text, minor loss at the blank spine, otherwise good.